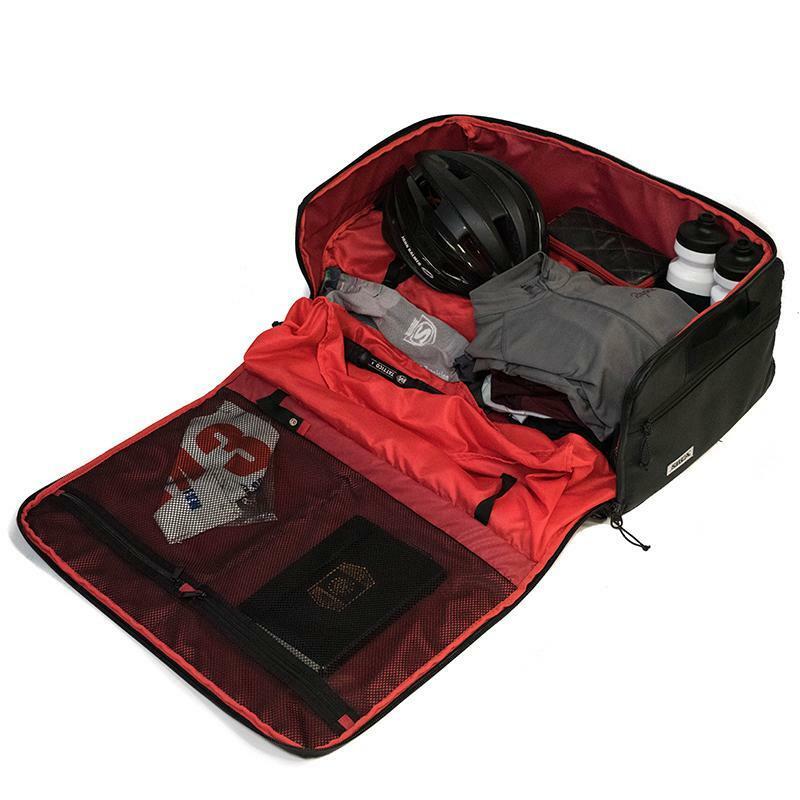 Whether you're flying abroad, heading off for a weekend away, or both, the Maratona is designed to carry everything you need for a cycling trip, snugly and securely. 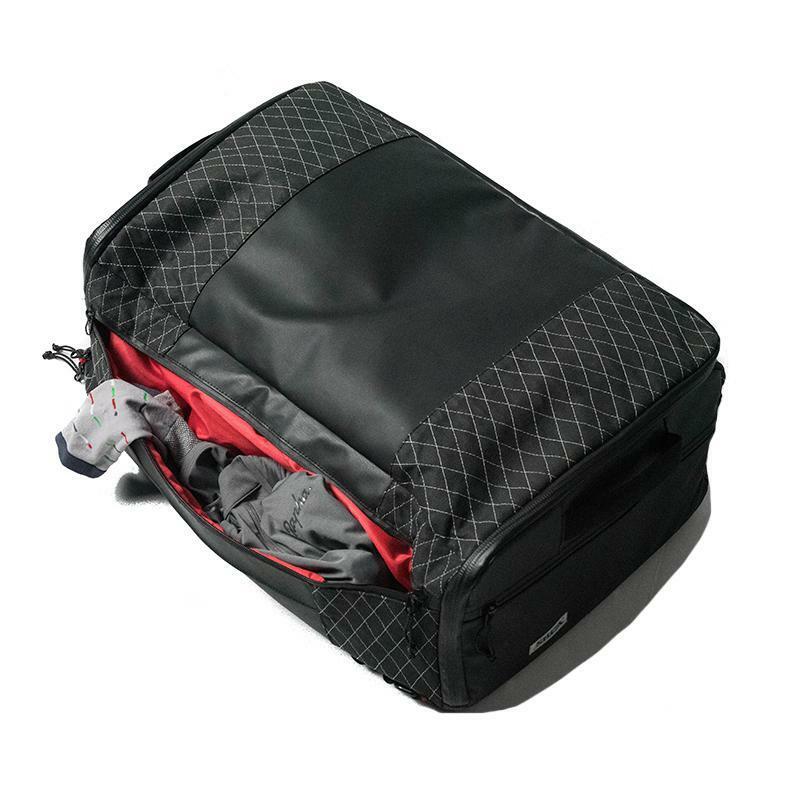 The versatile design works as a duffel bag or converts quickly into a backpack. 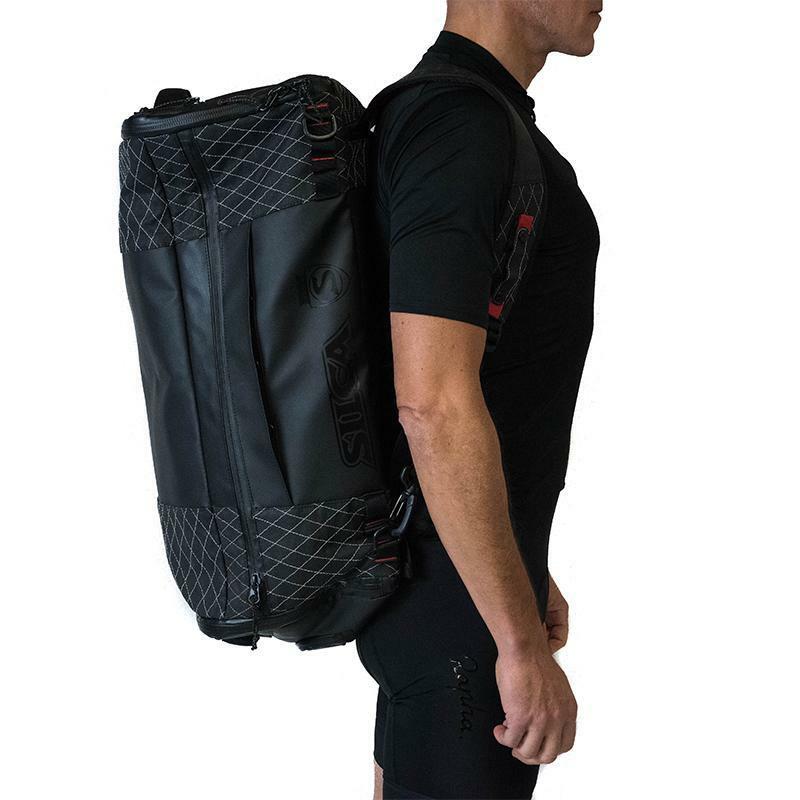 In standard configuration the Maratona is sized to be airline carry-on compliant, but if you're not flying it can easily be expanded to hold even more gear. SILCA's trademark stitching and tough-yet-luxurious red lining tie in nicely with the rest of their range, and the materials have all been selected to be durable and hard wearing. 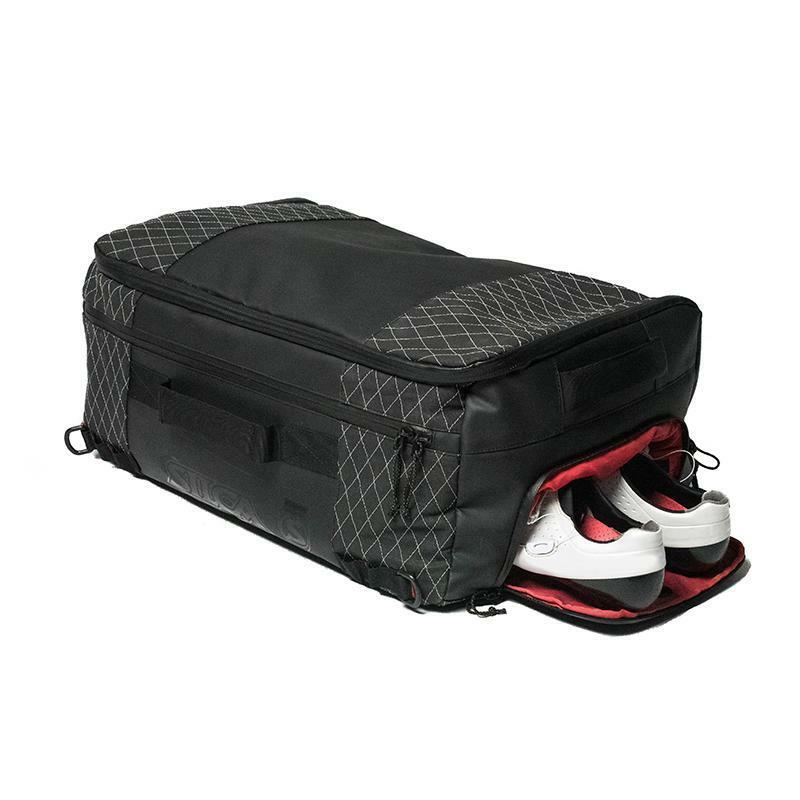 A nice touch is the built-in shoe bag, which is both internally and externally accessible, along with a vented internal bag for damp gear. 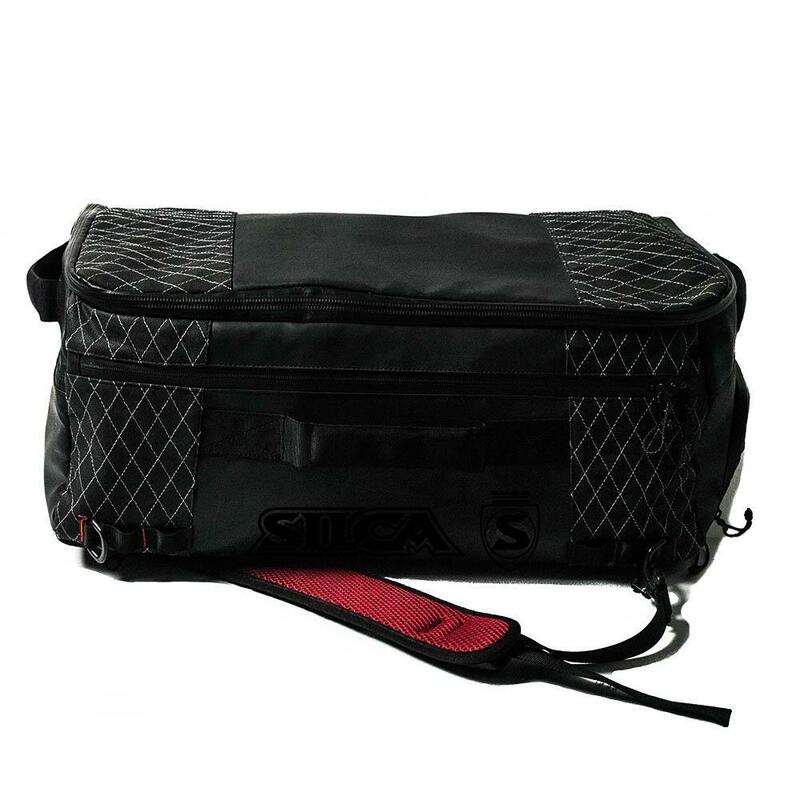 If you're after a short-trip/race day bag the SILCA does everything you're likely to need in a superbly well designed and constructed package. 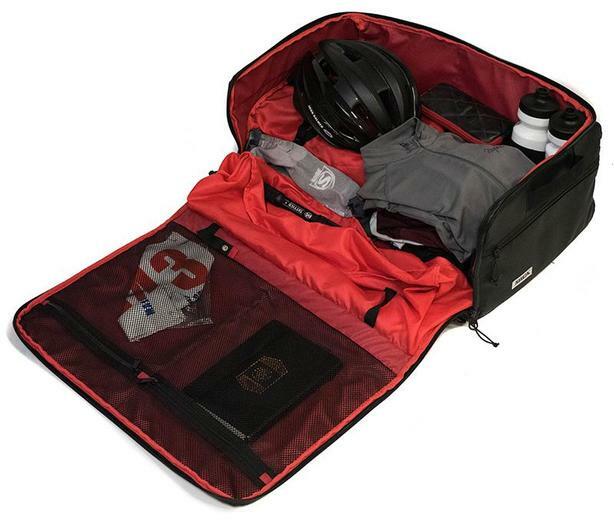 Airline size regulations for carry-on luggage heavily influenced the shape and dimensions of Maratona. 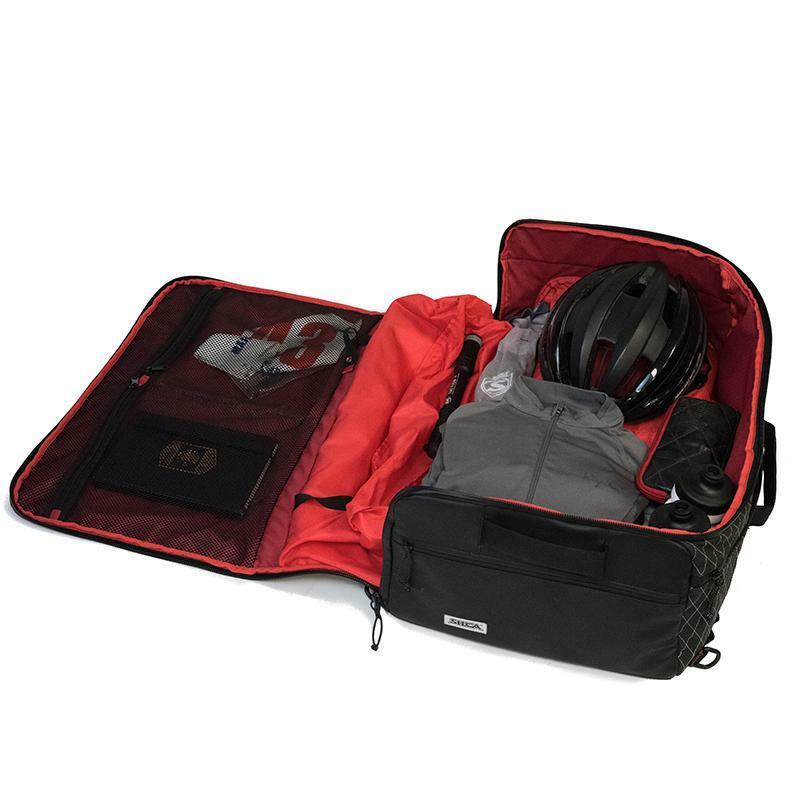 The bag maximizes the standard Maximum Airline Carry-One Limit of 55cm x 35cm x 23cm (44 Litres) when moderately packed, expanding to 60cm x 40cm x 25cm (60 Litres) when fully packed. 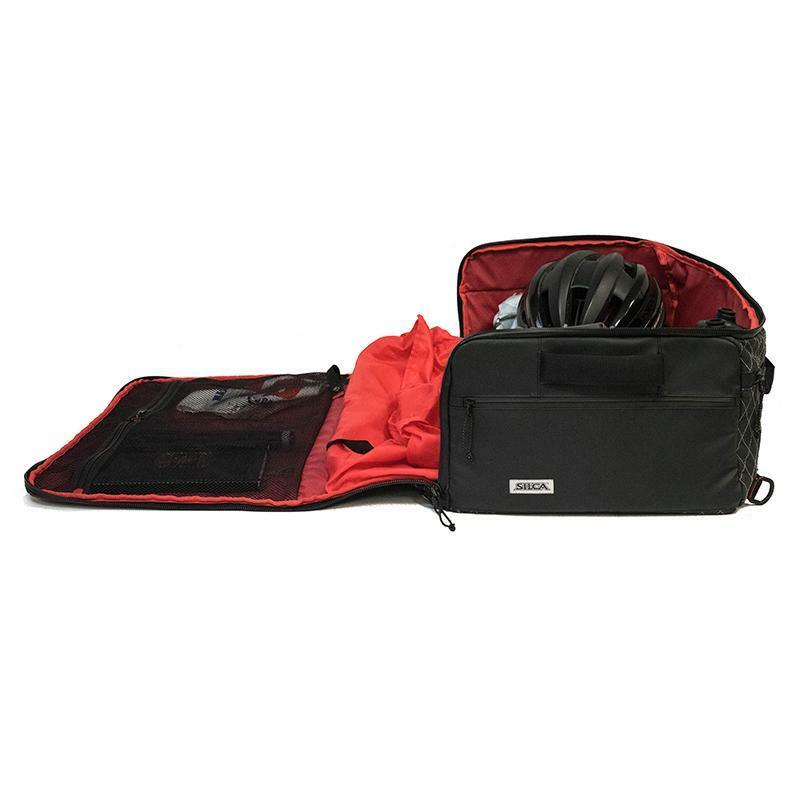 Like many of our other bag offerings, Maratona is constructed of 600D Nylon and waxed canvas, with a lining of bright red 100D nylon to provide high contrast making it easier to find things inside the bag. This combination of materials has been used by SILCA for years now and has been proven to meet our standards for reliability, durability, and weather resistance. 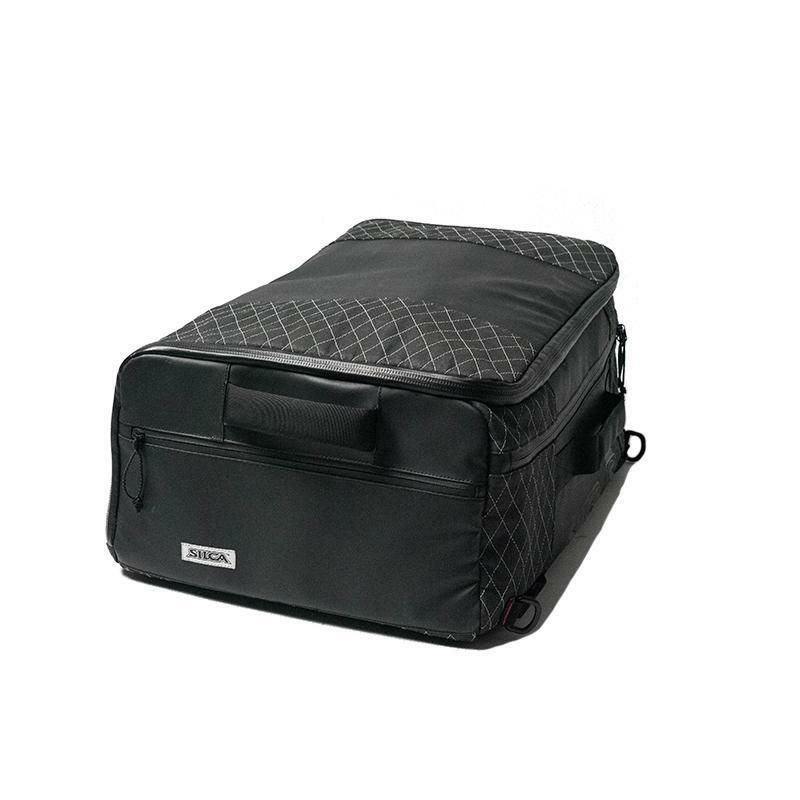 Reflective quilt stitching and SILCA branding throughout the outside complete the aesthetics of the bag while letting those around you know your passion for the sport of cycling. Hopefully this goes without saying, but just in case: The bag is supplied empty, the equipment shown is for illustration purposes only!